A solvent-free, moisture tolerant, epoxy gap filling adhesive providing excellent bond strength with non-shrink & non-slump characteristics. The epoxy adhesive is ideally suited for the primer-less bonding of surface mounted polyurethane tactile tiles to a wide range of construction materials. 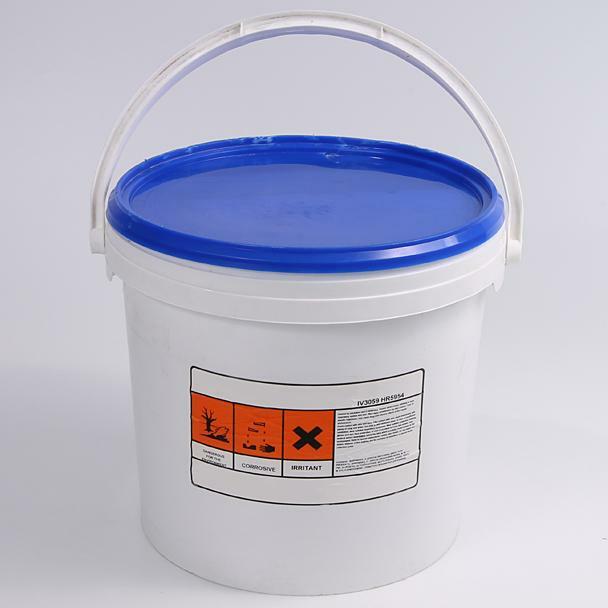 The adhesive comes in two parts (3.5 litres total) and should be mixed in the ratio as supplied (full packs only). Mixing should be thorough: 2-3 minutes with a slow speed power tool mixer and mixing paddle until an even consistency and colour is reached. The adhesive should be stored at room temperature. If stored in cold conditions, the containers should be allowed to warm prior to mixing. This will ease the mixing & application processes. The adhesive should be stored away from foodstuffs and out of the reach of children. The solvent free, moisture tolerant, epoxy gap filling adhesive provides excellent bond strength with non-shrink & non-slump characteristics. 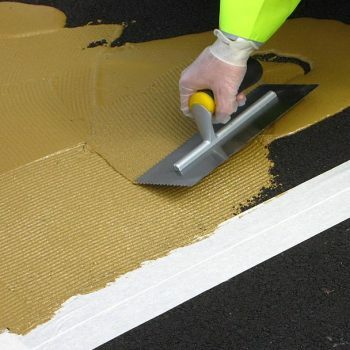 The adhesive adheres to damp surfaces & is ideally suited for the primer-less bonding of surface mounted polyurethane tactile tiles to a wide range of construction materials. To apply the adhesive use a serrated adhesive trowel with an even spread over the area to receive the tiles. Firmly press the tiles into position, working from the centre out. Do not bend the tiles, while tough, they are designed for minimal flex only. Remove excess adhesive and tool for a smooth finish. Clean all tooling with a cloth before the adhesive is allowed to cure. 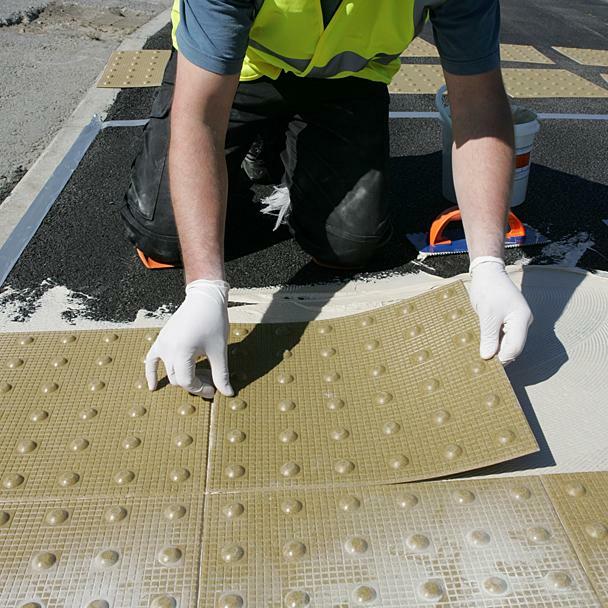 An application of kiln dried sand may be applied while the adhesive is still wet and left until cured.